It’s very unlikely that your new partner will just randomly ring your doorbell. It can happen, of course—and if you selected “UPS driver” as a desired trait in a mate, then your chances of that happening goes up exponentially. However, for everyone else, a little legwork will be necessary to complete the task of finding your soul mate. In The Angels of Love , we offer practical guidance to help you create a relationship that mirrors your memories of Heaven’s love. This empowering approach to healthy romantic love teaches how to stay true to yourself when looking for a new partnership. Where you find your partner will have a lasting impact on your future relationship. Not only are certain types of people drawn to certain types of places, but there’s a chance that you’ll spend more time in the location where you met. So try not to go to places where you feel uncomfortable or that you disapprove of. If you don’t enjoy bars, for example, heading to one to pick up a partner would be a bad idea. Not only would you potentially find someone who has alcohol-dependency issues, but in all likelihood, the person would continue going to bars once you’re together. The same goes for dance clubs, sporting events, and religious gatherings. If you don’t have a natural affinity for those sorts of places, then don’t go out of your way to meet your partner there. However, if you do have particular interests—no matter how unusual you consider them to be—you can have great luck meeting others who share them by going to gatherings designed around them. You can find events related to almost any activity by visiting sites such as Facebook and Meetup. You may be surprised by how many people in your local area have the same interests you do. The importance of sharing activities and interests with your partner shouldn’t be discounted. All too often people seek mates based on superficial attractions or because the other person is in some way exciting. While this is just fine if you’re playing around, it’s a terrible basis for a long-term relationship. Sooner or later those habits you once found charming or exciting will become a source of irritation if your personality types are too different. Conversely, if you try to force yourself into a more subdued lifestyle by finding a very straitlaced, clean cut person, at some point you’ll find that you’re bored to tears. Be honest with yourself regarding your values and interests, and you’ll have a much happier, enduring relationship. Before you go out to find your new partner, there are a couple of things you can do to help improve your odds. Since you’re dealing with another person who has an individual set of values, lifestyle choices, and emotions, the Angels of Love cannot force this person to be with you, regardless of how well matched you are. However, they have the power to assist you in making your own connection. You know by now that the Angels of Love cannot, nor would they if they could, interfere with your free will or that of another person. (By the same token, neither should you interfere with anyone else’s free will. At no time should you even entertain the idea of a love spell or potion. Not only do these generally not work but in some cases they can be extraordinarily dangerous. 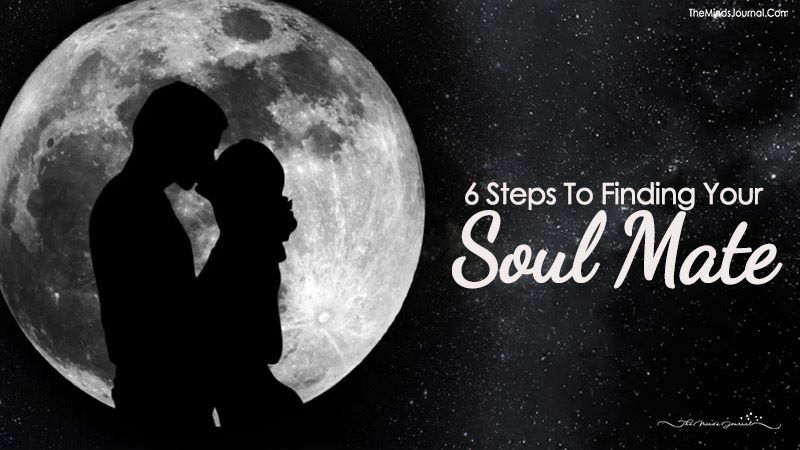 The tools and techniques mentioned here have been devised only to help change you for the better and to ensure that you’re at the right place at the right time to meet your soul mate. These tools cannot force people into anything against their will.) The first thing you should do before you venture out is pray. Even though you may be going to a social event, your goal is to get something accomplished. First, you’ll no longer be looking for a casual date, so you’ll probably seek a different type of person than you did before. Physical appearance, while important, shouldn’t be the most important thing here. What’s most important is that the person fits as many criteria as possible on your list from Step 1. Second, the person should be stable, emotionally capable of being in a long-term relationship, and compatible with you. Opposites certainly do attract, but they rarely stay together for very long. A third crucial criterion that shouldn’t be overlooked is that this partner must be single already. It doesn’t matter if people claim that their partners don’t understand them, or that they’re going to leave the relationship. If they’re not currently single (and generally speaking, separated doesn’t count unless divorce proceedings have been initiated), stay far away from them. God and the Angels of Love aren’t in the business of breaking up families, so you shouldn’t play any part in that. We believe this scenario is so common that we felt the need to word this as strongly as we have. Now we must insist on a pinkie swear from you that you won’t get involved with an unavailable partner. Deal? Great. Moving on . . . Courage and confidence have a lot to do with how you find your mate. You’re potentially dealing with someone who’s just as intimidated by you as you are by him or her. When seeking a lifelong partner, traditional roles such as those dictating who may approach whom do not mean as much as they did when you were just looking for a casual partner.